Good news for Sony fans, as the Japanese handset maker has another mid-ranger in the pipeline, the Xperia T4 Ultra. The new smartphone might be launched as early as August for a price that will be disclosed closer to release. Some of you might remember the Sony Lavander that leaked back in April and never made it to market. Well, it looks like the Lavander will be launched on the market as Sony Xperia T4 Ultra, a new report claims. The smartphone will be announced next month and should cost around $300 if we are to take into consideration the price of the its predecessors. 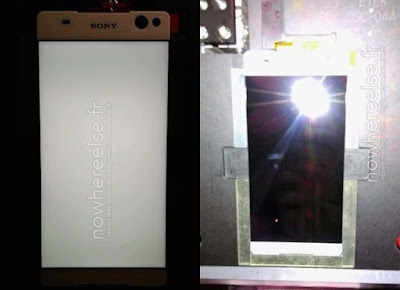 According to the same source, the Xperia T4 Ultra will be Sony's fist device ever released with a “bezel-free” design. Although this sounds more like a marketing line than an actual feature, lets take this as accurate until the smartphone is actually announced. Furthermore, Sony Lavander or Sony Xperia T4 Ultra will be equipped with a powerful octa-core MediaTek MT6752 processor clocked at 1.7GHz, which will be complemented by 2GB of RAM. Unfortunately, there's no mention of storage amount, but we expect the Xperia T4 Ultra to come with microSD card slot for memory expansion. We also know that the smartphone will boast a large 5.5-inch capacitive touchscreen display that supports full HD (1080p) resolution. On the back, the Xperia T4 Ultra should feature a 13-megapixel photo snapper with autofocus, LED flash and full HD (1080p) video recording. Rumor has it the main camera will pack a Sony IMX214 sensor. Sony Xperia T4 Ultra is said to be powered by Android 5.0 Lollipop, but by the time the smartphone will go on sale it might run a newer version of the OS. Last but not least, the smartphone will come with 4G LTE support, but it will also provide users with dual-SIM support.